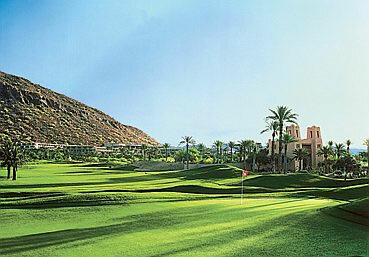 Phoenician Golf Club is a 27-hole facility that sits on the famous five-star Phoenician Resort. Located at the base of Camelback Mountain, serene desert views, tropical scenery and sparkling water features make this course must play. Desiged by Homer Flint and Ted Robinson, this mix of desert and oasis terrain make for a fun yet challenging day of golf. The (3) 9-hole courses, Oasis, Desert and Canyon each bring a different feel to the (3) 18-hole combinations. Oasis is more of a tropical layout with subtle elevation changes whereas the Desert and Canyon courses actually play up on the mountain terrain. The Desert course does play a little longer than the Canyon; however, overall they are very similar in terrain. The Phoenician Golf Club is a convenient location and offers great conditions all year round. From Phoenix Sky Harbor Airport: Follow signs to the AZ-153 N. toward 44th St. AZ-153 N. becomes 44th St. Turn right onto Camelback Rd. Pass 56th St. and turn left onto Jokake Blvd. which leads you into the Phoenician Resort. Follow signs to course.